It seems March used to be such a quiet month. We would all come down from the illness known as Mardi Gras fever and then head to Callaghan’s for St. Paddy’s Day. Most afternoons were spent flying a kite or two, remembering Julius Caesar on the ides or waiting for Easter to get here. Now the month has more cook-offs than any other. From Bienville Square to West Mobile to Atmore, our area has you covered and foodies like me are going to reap the benefit. Here are a few of the upcoming contests. It’s a good thing presentation is not a factor. On the surface chili is not a very good looking dish no matter how you serve it. It’s all in the taste. And those who believe they have the best-tasting chili will be throwing down this Saturday, March 7, for Mobile’s own American Cancer Society’s Chili Cook-off. 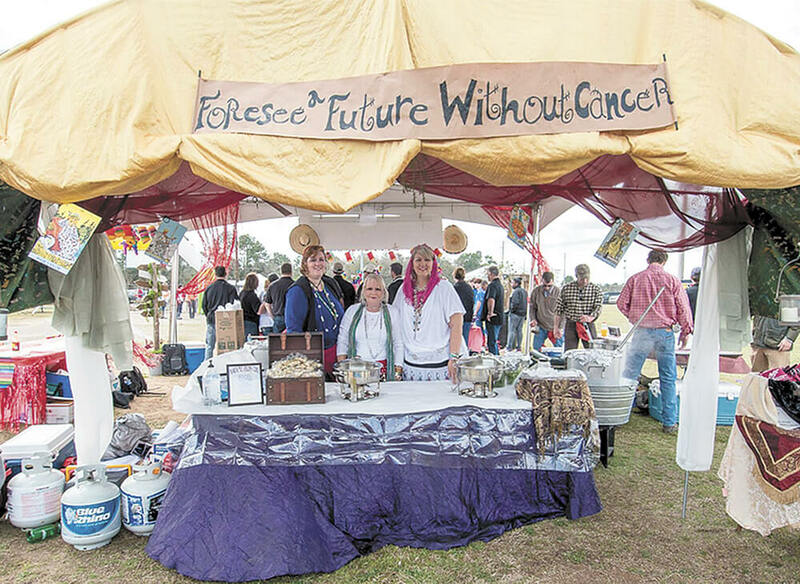 The event is returning to The Grounds in West Mobile at 1035 Cody Road for its second year away from downtown. It seemed by its 25th birthday Mobile’s favorite ticketed event had grown too big for its britches. This year’s 26th annual cook-off will still have a bit of “growing room.” I guess if they outgrow the fairgrounds we will have to start clearing land. The 26th annual ACS Chili Cook-off is March 7. Get ready for plenty of fine examples of chili that run the gamut of styles. 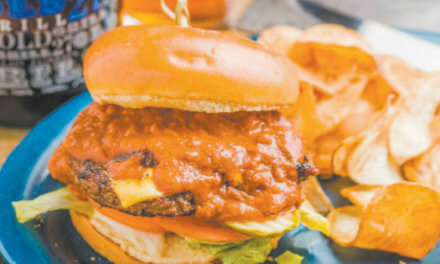 The eating begins at 11 a.m. and you will hopefully have your fill by 3 p.m. You can still get advance tickets for the low price of $10 at the American Cancer Society office located at 900 Western America Circle, Suite 101 or at any Trax Tire Pro location. 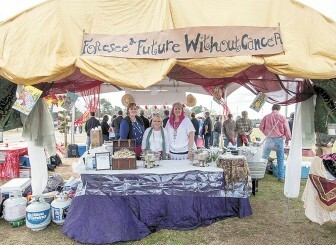 You may call the American Cancer Society at 251-344-9856. Show your support and help this fun event of live music, good eats and bragging rights grow as they raise money to help celebrate more birthdays. Since its inception in 1989 Mobile’s ACS Chili Cook-off has raised over $1.3 million for cancer awareness, detection, treatment and research. 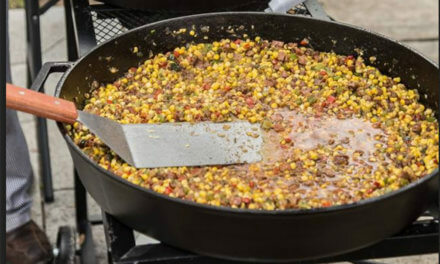 Unleash your inner leprechaun and get ready for Bienville Square’s Luck of the Irish Cook-off and Parade held Saturday, March 14, at 11 a.m. Attendees should expect corn beef slinging, cabbage chopping and Irish stew sampling until 2 p.m. when the St. Patrick’s “Day” parade rolls around. There will be plenty to drink, but fun for the whole family. Volunteers from the Mobile Exchange Club are working hard to bring you Mobile’s only Irish culinary showdown, and proceeds from this event go toward the Family Center of Mobile helping to rid children of the tangible and emotional scars of physical and sexual abuse. The Center provides a safe haven for supervised parental visits, parenting workshops, anger management, and even classes to prevent shaken baby syndrome. Tickets are $15 at the gate or $10 in advance and can be purchased at the Family Center located at 601 Bel Air Blvd. or at T. P. Crockmier’s at 250 Dauphin St. The Family Center may be reached at 251-479-5700. For more information visit www.luckoirish.com. Downtown is lucky this time of year. Saturday, March 21, will be the inaugural Cajun Cook-off presented by Cunningham Bounds to benefit the Child Advocacy Center of Mobile. We will have more details as the date approaches, but the event runs from 10 a.m. until 2 p.m. at Cathedral Square. Tickets are also $10 in advance and $15 at the gate. Grab a pair at the CAC, both Mobile Mellow Mushroom locations, or the West Mobile and Daphne locations of Bug Master. Live music will be provided and plenty to eat and drink from 22 local teams of downtown’s favorite restaurants. It was a little later than expected, but Virginia’s Health Food and Sunflower Café celebrated their grand opening in new digs this past weekend. Moving from the Pinebrook Shopping Center, Mobile’s celebrated home of healthier eating found a new residence at 3055 Dauphin St. at the corner of Sage Avenue. For people with food allergies, vegan lifestyles and New Year’s resolutions to live healthier, Virginia’s has long been the go-to spot for delicious alternatives to over-processed foods. Regular customers were highly anxious for the opening, originally scheduled for late January, but the new facility should serve them well. The shelves are rapidly filling up with healthy products to fit every need. The Sunflower Café is already serving up organic specials with whole wheat pastas as well as vegan and gluten-free options. The best part is they are a short bike ride or a long walk from my house. I am a fan of their deliciousness. Store hours are 9 a.m. until 7 p.m. Check them out on Facebook for Sunflower café hours and specials or call 251-479-3952. We have more cook-offs later in the month so get ready to judge. Recycle!